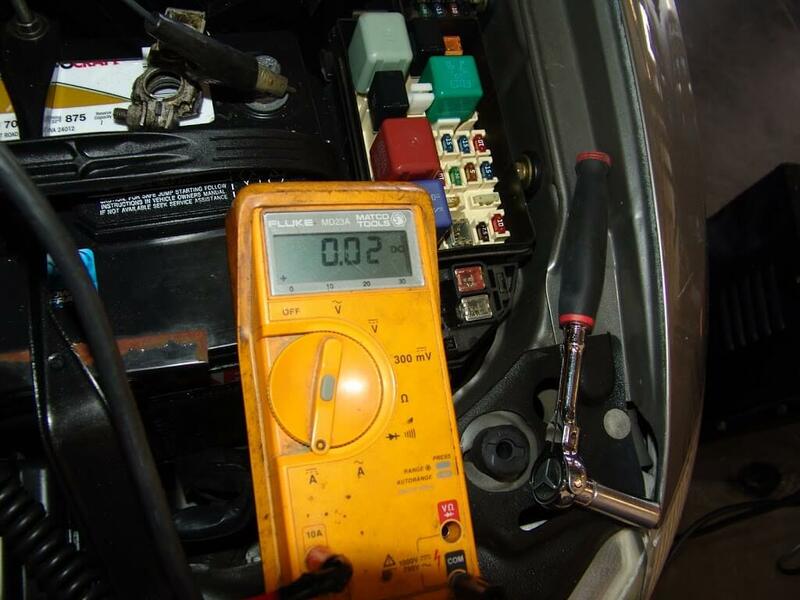 This 1999 Lexus ES300 was sent to me because that battery would go dead after several days of sitting. I checked with the customer to make sure he had the radio code of needed. Thankfully in the end we did not have to have it. 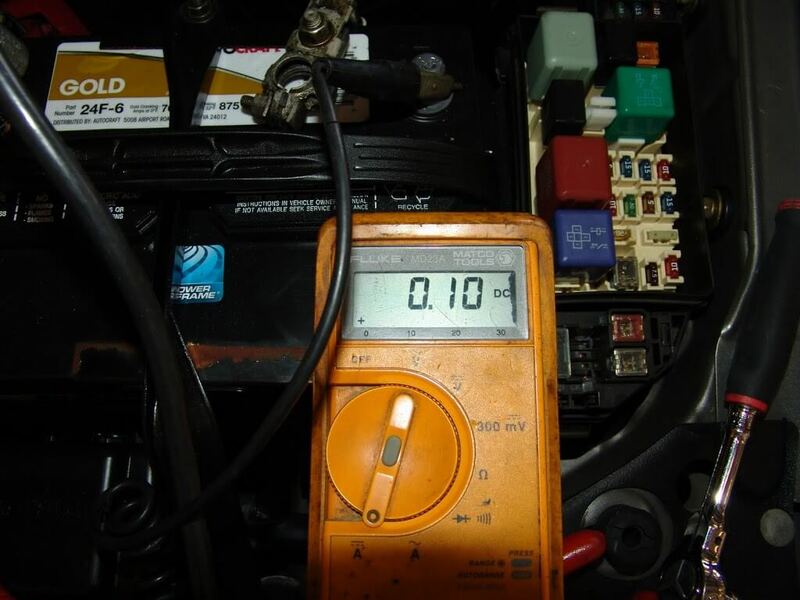 Next, I connected my multimeter to the engine and to the negative battery post. I already had the leads set up for reading dc amps and at the 10 amp location. 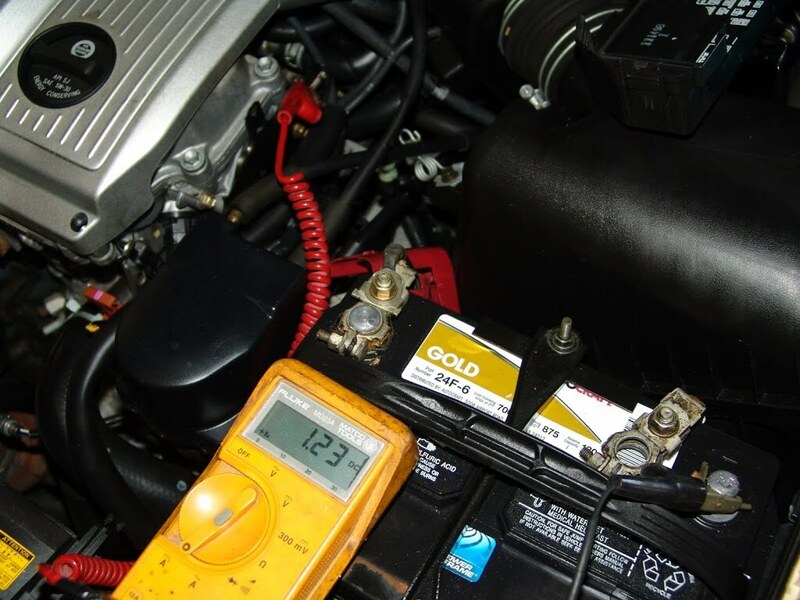 The initial amp draw was 1.23 amps. After a few minutes it went down to .53 amps as different modules went to sleep. 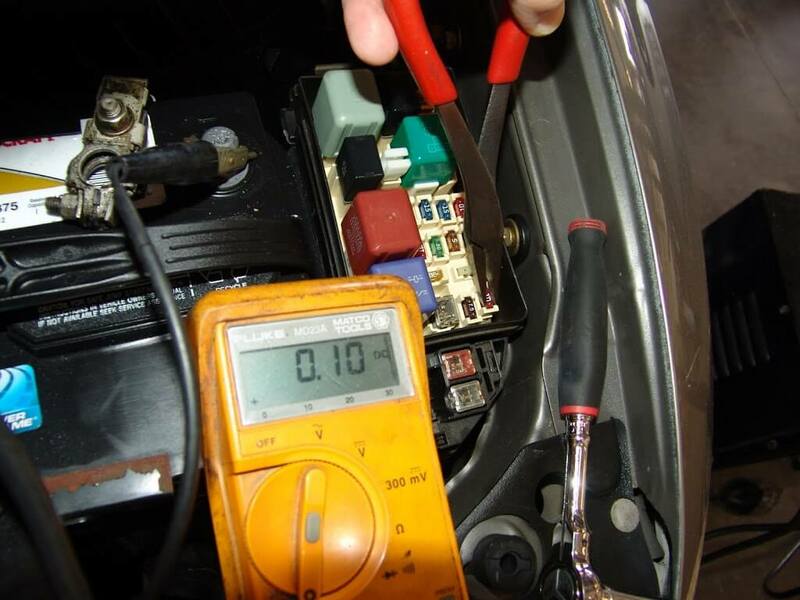 Finally after leaving the car alone for about half an hour it settled down to a .10 amp draw and stayed there. I was very lucky on this one. The first fuse that I pulled dropped the drain down to .02-.03 amps. I checked the fuse designation and went to my wiring diagrams to see what all was attached to that fuse. The system drain with the fuse removed. 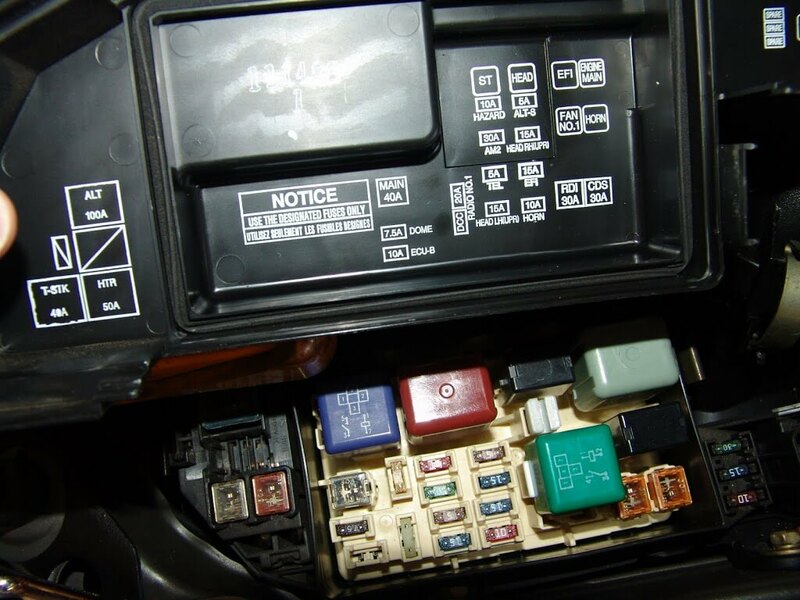 I found out that one of the things this fuse supplied was the memory power seat. 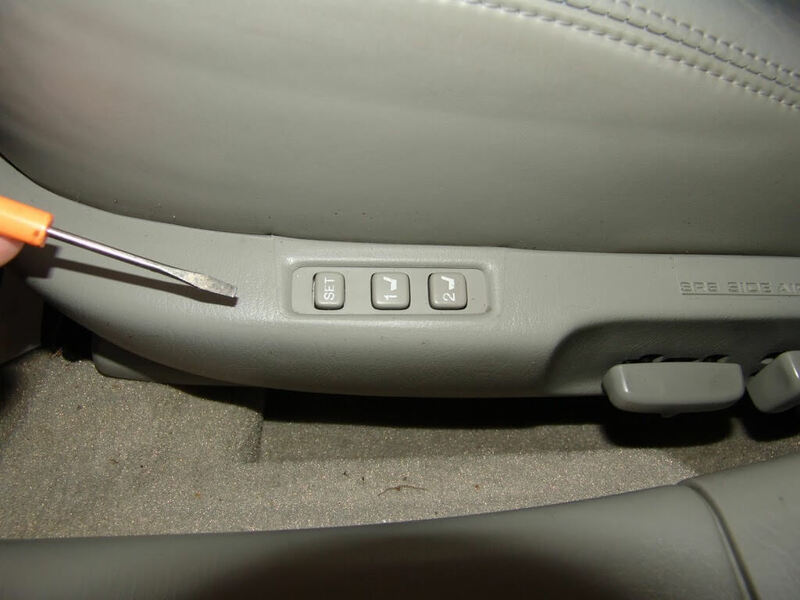 I have seen a lot of power seat switches get stuck and cause drains and blow fuses. I went right to the driver’s power seat to inspect and this is what I found. A button stuck in. 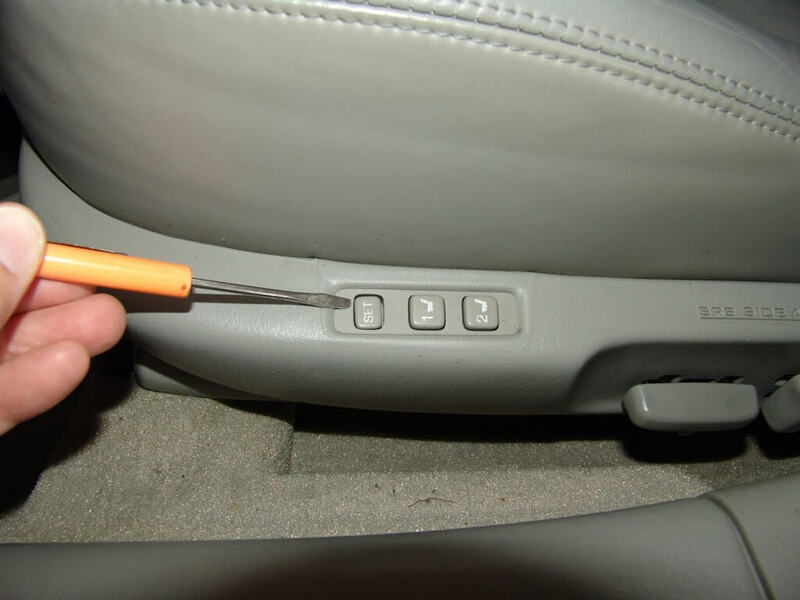 A light touch with my screw driver and it popped right up. I worked it back and forth several times. It never stuck again. 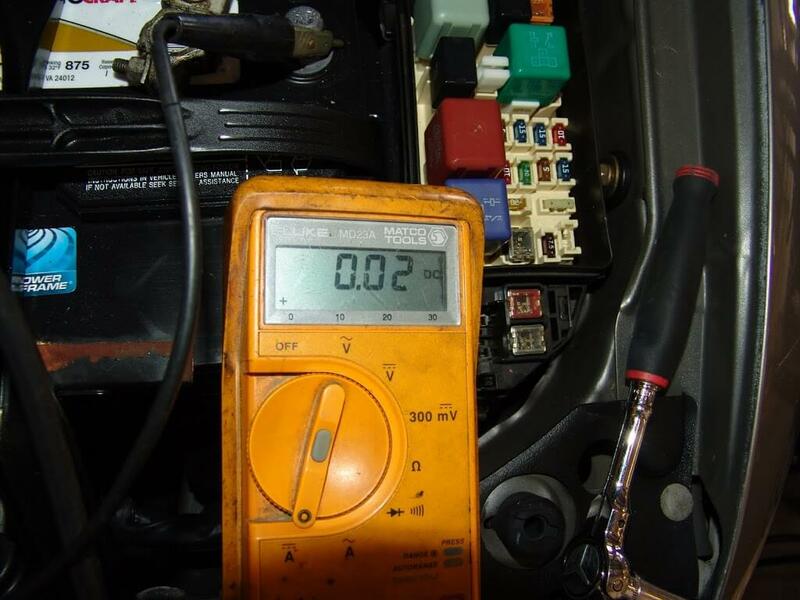 The fuse back in the fuse box and the drain was still at .02 amps. I advised the customer of the situation and he stated that he would just keep and eye on it to see if it would stick again. That was about four months ago and I have not heard back from them. Thanks! Very nice to find the problem so easily. Google led me right here. Awesome!! $1000 later and multiple visits to dealer/shops. Going to check to see if I’m in the same boat. Will post an update. Wow, I woke up this morning after not using my 97 es 300 for three days to find the battery dead. I knew I didn’t leave any lights or anything on, so I jumped the battery and charged it up. 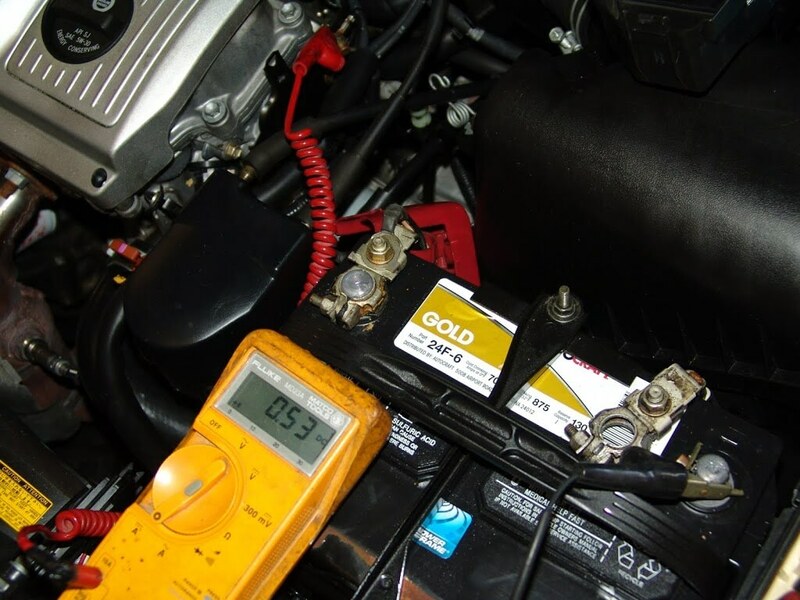 I googled the battery drain for an es 300, and it turns out this was EXACTLY the problem I had in my car. The SET button was stuck in the depressed position, used a thin knife to jimmy it free and it popped out. You definitely just saved me a ton of headache and money versus taking this to the shop, since I’m certain it would have taken a lot of time to diagnose. Thank you for this useful blog post! You are welcome and thank you for the donation. Next Next post: 1996 Ford F350, No Crank Condition.